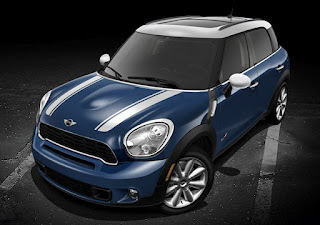 Carnation Auto Blog: Mini Countryman: A Powerful Mini Car For The Big Indian Population? Mini Countryman: A Powerful Mini Car For The Big Indian Population? It’s one of my favorite oxymoron these days – the big Mini! Don’t know what I am referring to? It’s the Mini cars that have been launched in India. The Mini Cooper S & Mini Countryman. A friend of mine asked me to describe the Min Countryman in a single sentence. Here’s what I told my friend: The Mini Countryman is a style icon with super cute looks, lots of space, immense power, and a huge price tag. 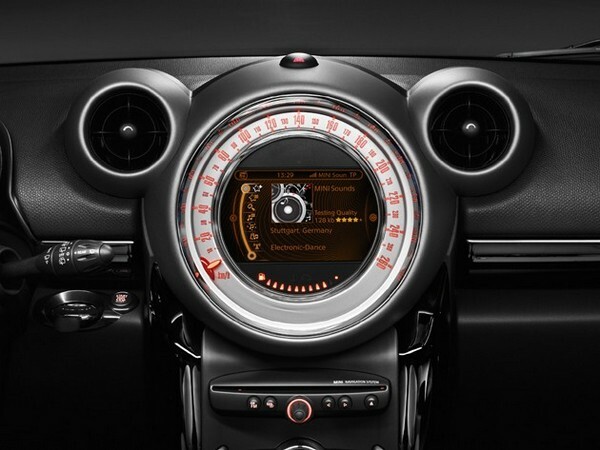 Many things have been said about the Countryman, some bad, but mostly all good. The looks of this sporty car are fairly aggressive. You have a powerful bulging front, large headlamps that have been swept back to give this car a ‘bulldog’ ish look and a squarish rear side that add a lot of character to this really powerful, 181BHP @ 5500 rpm, car that now comes with the BMW badge of trust. The theme here is retro. Old school. So the cabin is characterized by a retro looking dash with a large analogue speed-o-meter, then there are the toggle switches placed on the middle console and back doors, and plenty of other interior details. The seats are fairly ergonomic in design, though I was surprised to find that the front seats can’t be adjusted electronically. The rear seats are fairly standard and much like most Indian hatches, there are no AC vents for the back seat passengers. Is that an oversight or does BMW think that Indians don’t care for comfort? Disappointing, especially considering the HUGE price attached to the car. My friend and I, both, found that the Mini Countryman’s cabin is fairly restrictive in width and height dimensions and the back bench seat can only fit two passengers, a third would be a struggle. However, over and above the 350 liters boot, the rear bench can also be folded 40:20:40 to adjust more luggage as needed. I would hate to find faults with such an iconic car, more so because even I am a fan of the Mini. I have seen it in movies such as the Fast & the Furious, Italian Job and several others. I always wanted to drive it. Feel its power. Experience the 1.6 liter petrol direct injection engine. Feel the adrenaline pump, sitting behind the EPS wheel of a car that has a peak torque of 24.5kgm, and which can be bumped to 26.5kgm by using the ‘turbo overboost’ feature. The Mini Countryman is sheer fun. It’s an unforgettable experience. All that, aside, at Rs. 36Lakh (approx), the Mini Countryman is completely and totally overpriced!! It may be a celebrity car in its own right, but why wouldn’t I spend that amount of money to buy a car like an Audi or a BMW that would give me power, space, comfort, driving pleasure, and more recognition here? Will you buy this car just to stand out amongst the crowd? I definitely won’t! Awesome looks and stylish features.One news related to cooper I want to share with you.he famous stunt driver from the land of China, Han Yue has recently claimed a new Guinness World Record for the tightest parallel parking job . Han Yue successfully slid the famous BMW MINI Cooper in a parking space that was just 15 centimetres or 5.91 inches longer than the legendary car itself. The previous record for tightest parking job was set last month by Patrik Folco who was able to slide his car into a parking spot that was just 22 centimetres or 8.66 inches longer. The Guinness World Record for the tightest parallel parking job is evidently one of those titles that are contested very heatedly and has seen a change of hand for five times in the last two years.